As dusk encroaches on Prague, Prague Castle is lit up with lights showcasing its splendor. 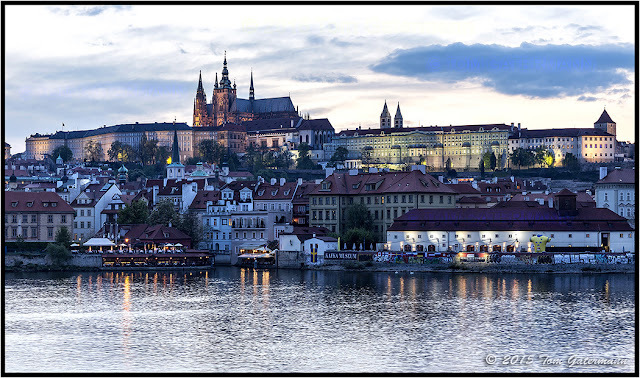 In the center of the image, the spires of Saint Vitus Cathedral can be seen reaching up into the sky. In the foreground the Vltava River is seen flowing by.